Voltage, frequency and wave form of output at different load levels. Efficiency under different load conditions. To check nominal and peak capacity we use resistive and inductive loads. Battery charge voltage. The voltage at which the controller stops charging the batteries is verified. Shutoff voltage. The voltage at which the controller stops feeding the loads to protect the battery from a deep dischargee is verified. Specific application tests, such as with luminaries. 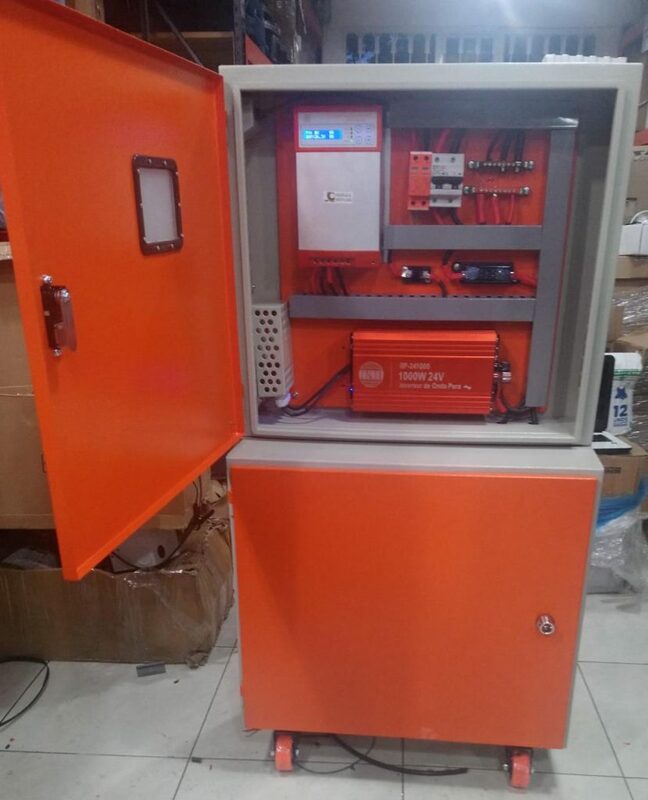 Aside from standard tests also applied to inverters and controllers, transfer functions and battery charge from a DC supply is tested. Protections and performance of the whole systems is tested. Wiring is verified using thermography.